Mark's ambition is to provide impressive craftsmanship, professional service, and the highest regards for the convenience of his customers. Mark chooses to conduct business on an appointment only basis. In this capacity he can give his full attention to each and every customer one at a time. A brief phone call or e-mail ahead of time will make it possible for him to personally attend to your needs promptly and at your convenience. The shop offers instruments and bows for purchasing, rentals, affordable rates and quick turnaround on repairs, and a limited stock of strings & accessories. 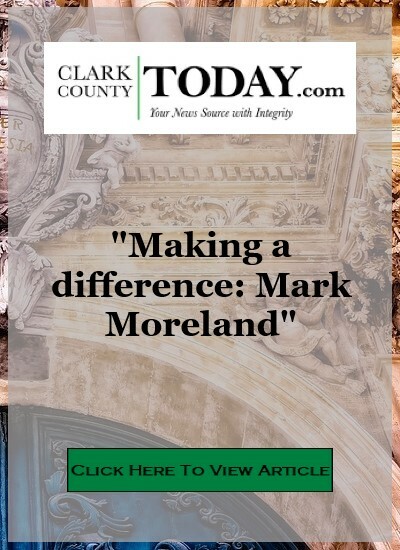 Mark D. Moreland began piano lessons at the age of five in Wichita, Kansas. 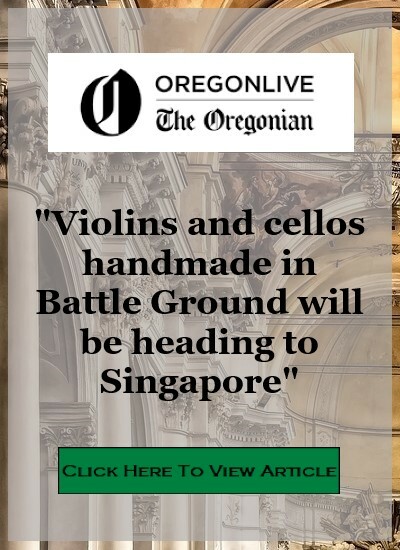 He took up violin at age nine and pursued his advanced musical studies on that instrument. He was a scholarship violin performance major at Wichita State University. Mark has performed extensively in North America and Europe. He has taught violin to numerous young musicians. 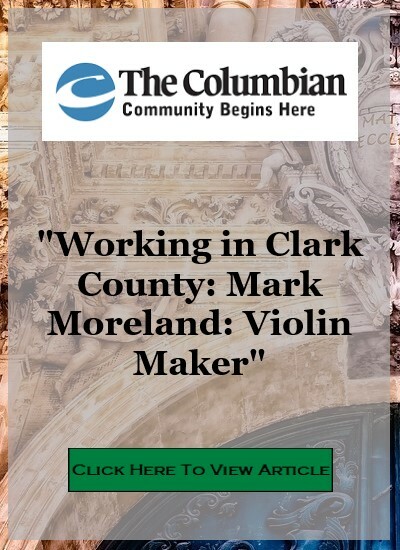 In 1975, Mark changed his focus from performing and teaching to violin building and repair. He served a three year apprenticeship under the tutelage of Paul Schuback in Portland, Oregon. He trained in the Old World French traditions with references to Mittenwald (German) techniques. During his apprenticeship, Mark continued performing and teaching. At the beginning of 1980, Mark was the shop foreman for the Schuback Violin Shop, where he later became manager as well. In 2003, Mark moved to Maryland to become the foreman and head luthier at the Eastman Strings workshop near Washington, DC. This is where he trained and oversaw the work of varnish, setup, and tone specialists. During 2005, Mark moved to Albuquerque, NM to work at Robertson and Sons Violin Shop as a high end repairer, restorer, and maker. 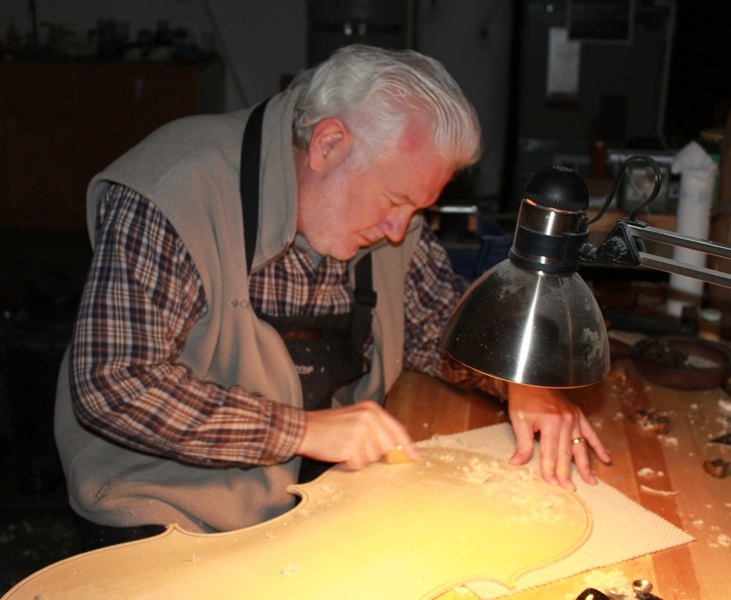 Mark’s instruments have won numerous tone awards at international competitions and he continues to be active as a maker and restorer of fine instruments. 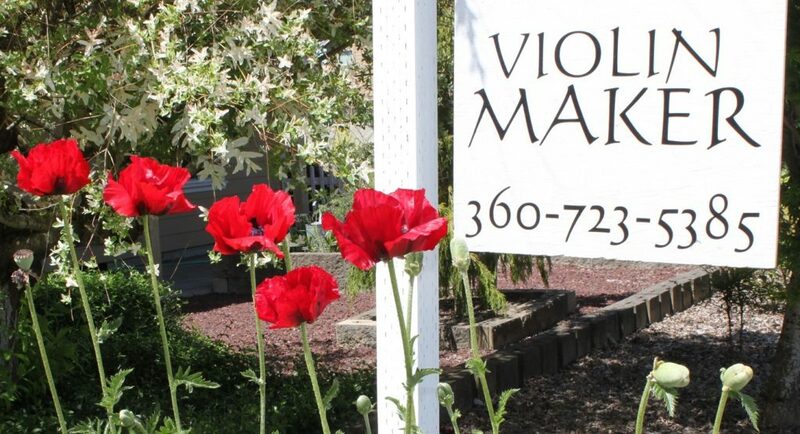 At present, Mark has returned to the Pacific Northwest once more to open up Mark Moreland Violin Shop in Battle Ground, WA. 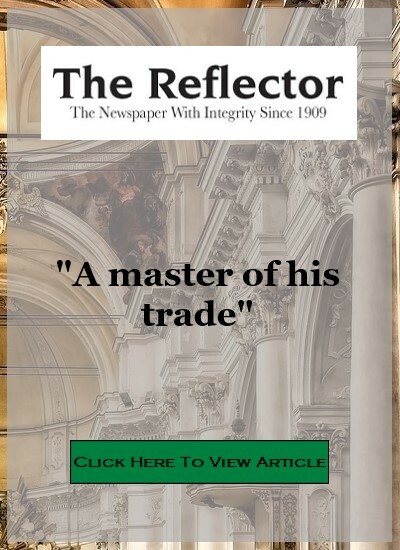 It is clear when working with him that his level of knowledge and professionalism are unmatched in the market of stringed instruments repair and craftsmanship. To inquire about repair service or commissioning a new instrument, please contact Mark.